Look at any architecture or interior design trend list and you are bound to come across a list that touts how bringing nature back indoors is on the rise. And it is no surprise. Natural palettes and textures have been gaining momentum in both commercial and residential interiors. In part, the trend has been infiltrating interiors as reverberation from our technology-drenched lives. Sometimes, we just need to reset and go back to the basics. Here are two ways we are loving the modern version of bringing nature indoors. Avant-garde in the 1970’s, indoor gardens were a must-have. Today, designers understand that introducing more natural elements indoors add a peaceful touch that can help calm external chaos. 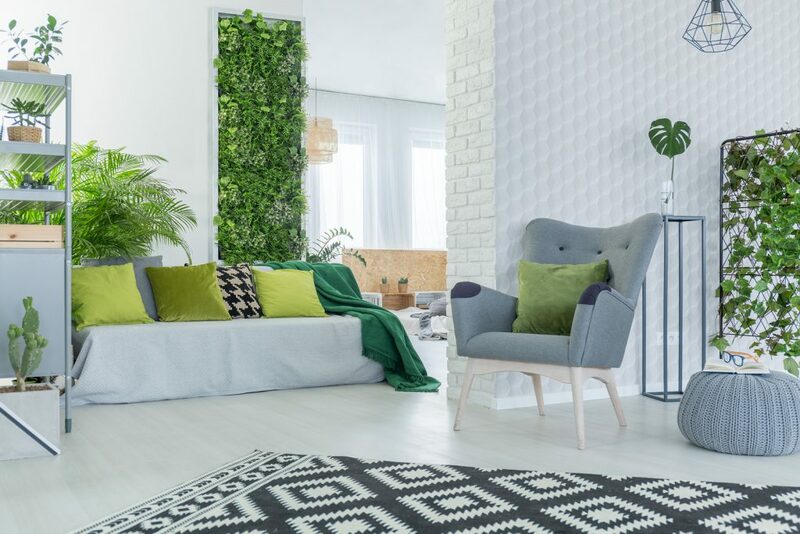 This can be done by painting a single wall in the room a green tone, adding a plant wall, or simply just having green accented soft furnishings. All can be incorporated into hotel rooms, classrooms, and even hospitals. Companies like Ambius specialize in interior landscaping. Though these plant walls are often found inside companies that want to accentuate their sustainability, they are increasingly being used for numerous other uses. From elevating oxygen levels in the space to increasing alertness among employees — these efforts ultimately improve the levels of employee productivity. A 2015 study done by FPInnovations, a Canadian research center, looked into how adding wood into healthcare facilities provides benefits to both patients and their caretakers. In Wood as a Restorative Material in Healthcare Environments, the study showed that woodsy elements reduced stress in participants, among other hormonal and physical benefits. Natural wood or wood textured decorative overlay allow for a connection with nature, even when inside. 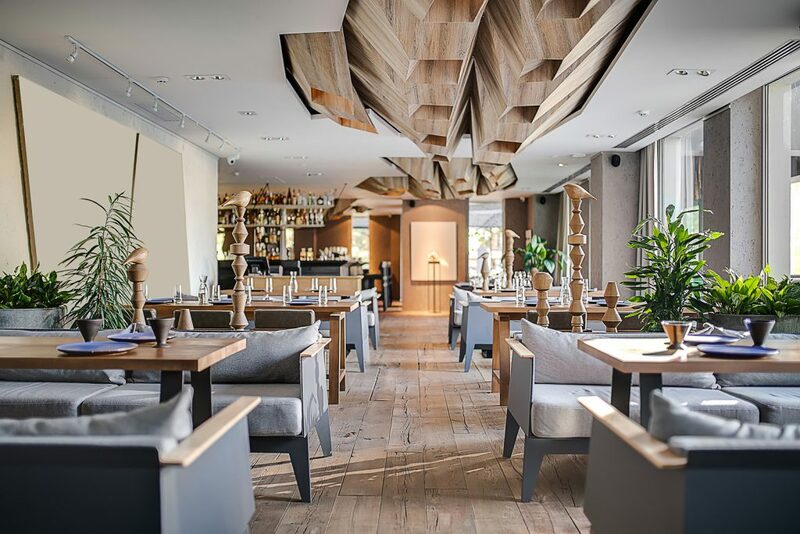 Healthcare isn’t the only ones on board with nature-based interior design — restaurants like Nærvær in Copenhagen and hotels like the Clarion in Sola, Norway are implementing these elements as well. Interior designers are aiming to create more tactile surfaces, from textured TFL to soft furnishings to create spaces that feel intimate and cozy. At Arclin, we are inspired by natural designs and textures. Our Harvest Collection is inspired by natural elements from all over the world. This collection was intentionally cultivated to bring nature to you. Get in touch with Arclin TFL here for samples from our latest collection.